Diogo Dalot can be the new Gary Neville for Manchester United, according to manager Jose Mourinho. Dalot won the club's man of the match award after shining in Saturday's 4-1 Premier League home defeat of Fulham. The teenage full-back has been introduced slowly into the first team by Mourinho after being signed from Porto, the manager's old club. 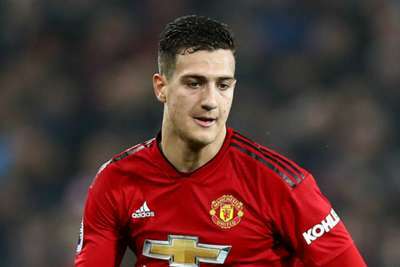 But Mourinho feels Dalot is good enough to be considered a long-term successor to one club man Neville, a former United captain who won eight Premier League titles and two Champions Leagues at Old Trafford. "Everybody knows that he has fantastic potential," Mourinho told MUTV. "I don't want to compare, especially not the number of titles but he is probably the same age as Gary Neville when he came into the first team. "Probably he can follow Neville in this dynamic of more than 10 years as United's right-back, with amazing conditions to improve, because as I was saying he's 19 years old." Mourinho has shown patience with Dalot's development and the Fulham game was only his second start in the Premier League. But the Portugal Under-21 defender is in line for increased opportunities as United move into the busy festive period. "He's a 19-year old boy," Mourinho continued. "It's important not to forget that, not to demand from him super consistency, because he is a kid. "He's just arrived in the Premier League and arrived after four or five matches in the Portuguese league - no more than that. "We are very happy. Now it's December, normally he is going to get more opportunities to play, to get experience and to be what we thought when we bought him, which is he can be Manchester United's right-back for 10 years."